The City Council also passed a measure that will decorate the surrounding area with queer flags. If we can’t ban you from opening up shop, we are redecorating your space to our liking. That’s what Chick-fil-A is finding out. 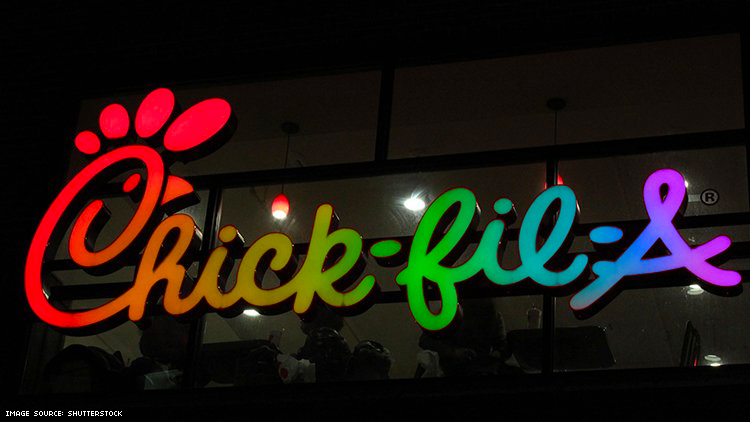 In San Jose, the City Council has voted to decorate the Chick-fil-A location in the Mineta-San Jose International Airport with gay pride and transgender pride flags. The decision comes just 35 days before the eatery was expected to open, and was made as an antidote to the restaurant chain’s history of anti-LGBTQ+ donations. Chick-fil-A had already been approved to open the location in 2018. And while they were in no place to halt that contract now, they did move to in ways to push back against the chicken spot’s reputation. First, and most prominently are the flags, which will decorate not only the airport at large but also outside Chick-fil-A in particular. Councilman Raul Peralez also called for queer and trans employees to be hired in an effort to make it the “gayest Chick-fil-A in the country.” In addition, the Council imposed a measure that will withhold contract extensions for businesses that don’t operate seven days a week — Chick-fil-A is closed on Sundays.